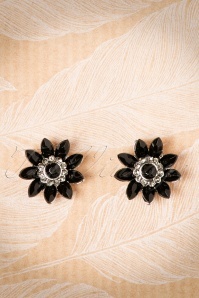 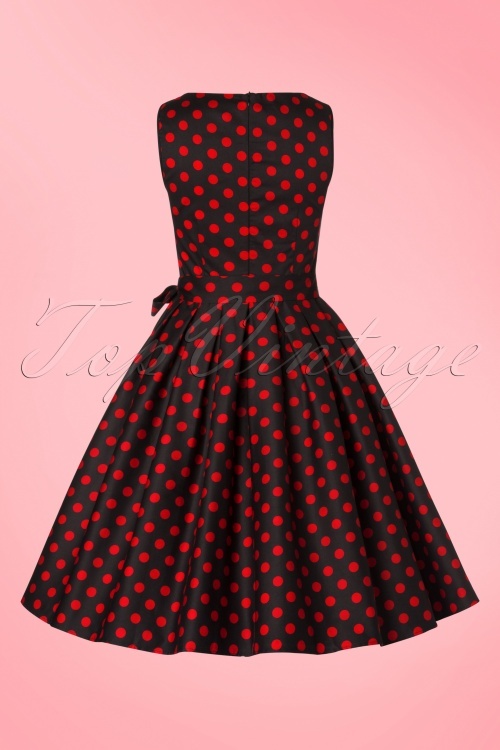 Planning a party, nothing to wear and suddenly the bell rings... your TopVintage package with this beauty in it! 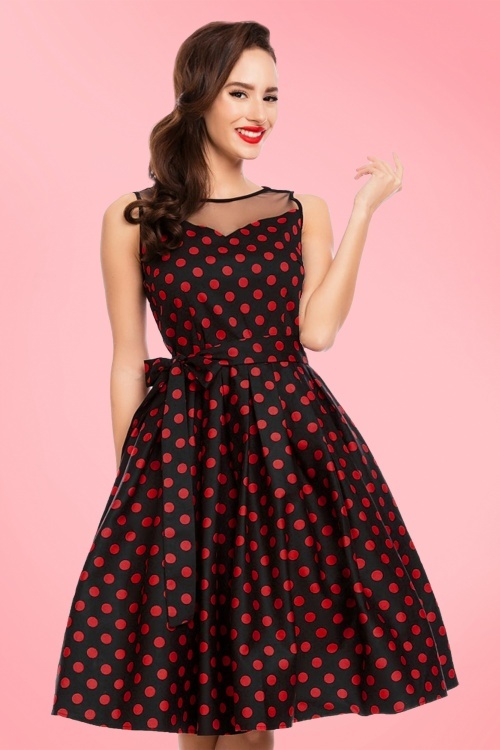 Ohhh, just in time ;-) This stunning dress features a fitted top with a sweatheart neckline, finished off with transparent mesh and runs from the waist down into a full swing skirt with box pleats creating a super feminine silhouette, oh la la. 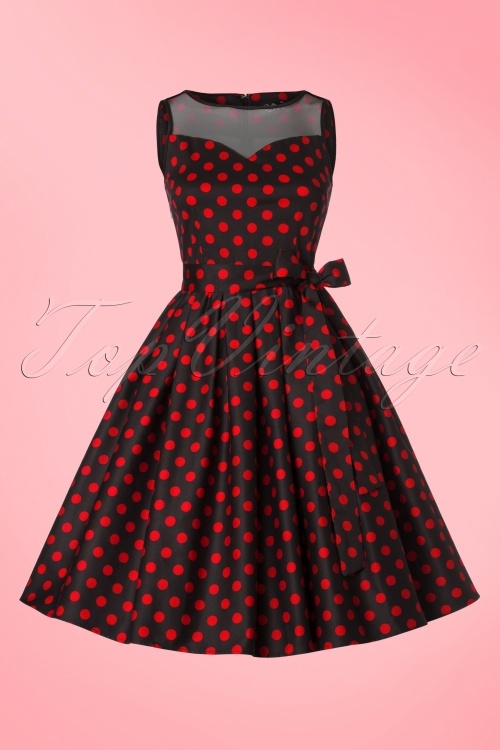 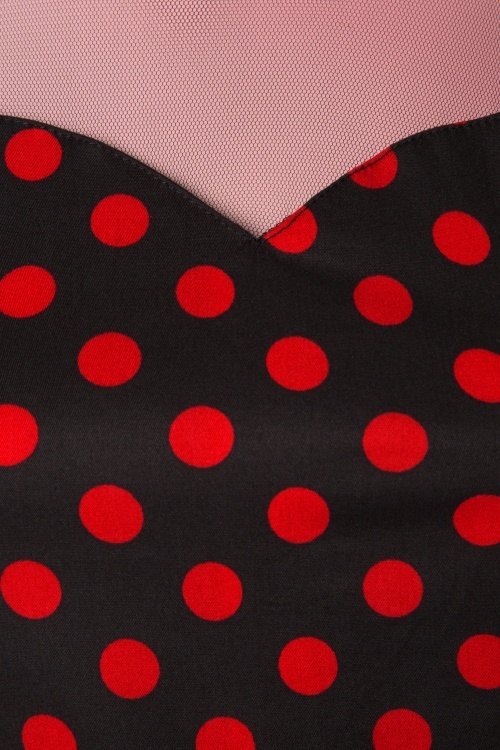 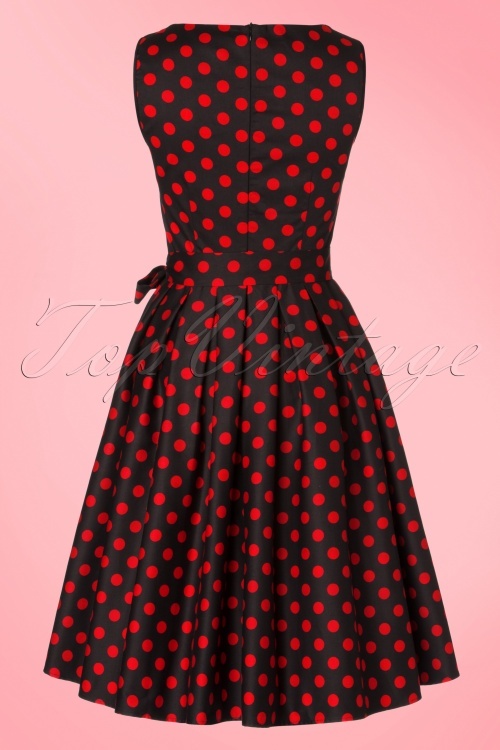 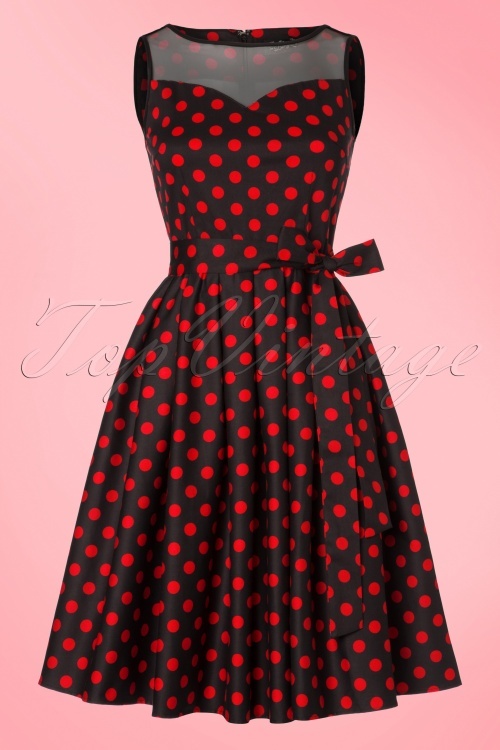 Made from a breezy black cotton blend with lipstick red polkadots and a light stretch for a lovely fit. 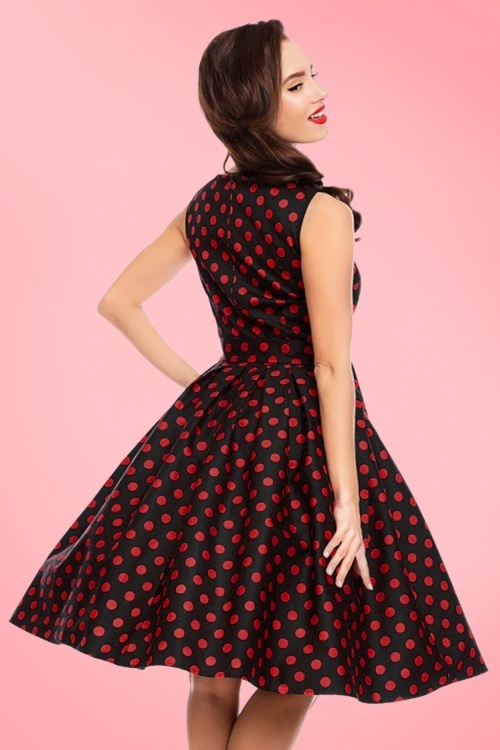 Put on your pumps because it's time to swing! 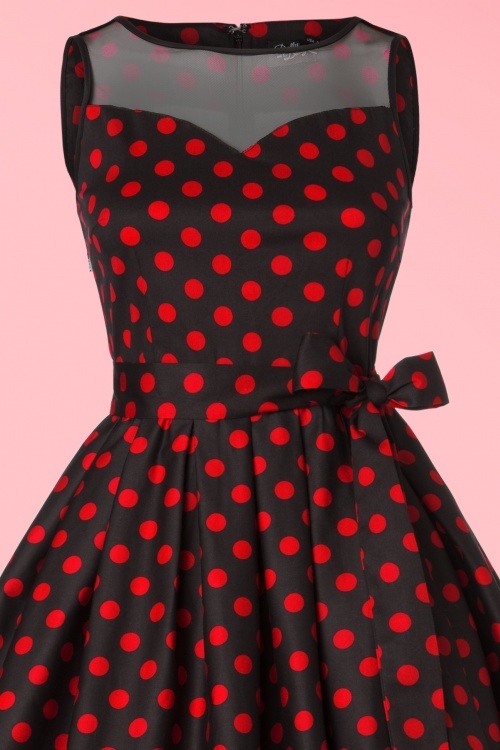 2 kleedjes en een paar schoenen besteld, vandaag aangekomen en alles past perfect!